The excitement for the Pittsburgh Penguins versus the Philadelphia Flyers outdoor game grows! Early on February 2, the organization unveiled it's full uniform for the NHL Stadium Series game that will take place at Heinz Field. The uniform boasts the already released marigold yellow sweater but is now accompanied by predominantly marigold yellow and black pants and matching helmet. Winger Bryan Rust was chosen as the designated model for the official announcement. 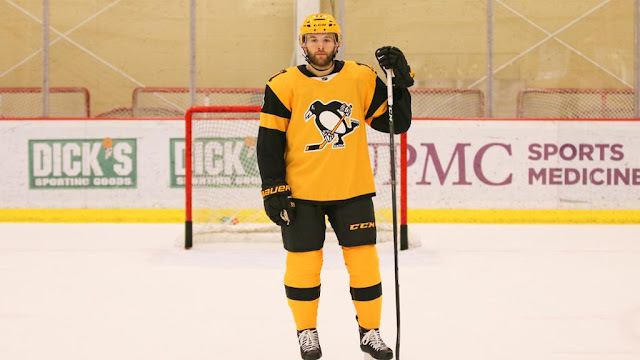 This makes him the first Penguin to skate in the full "Pittsburgh Gold" uniform. The jersey itself is unique with its sleek, streamlined look. It will also be emblazoned with two different patches, one on each shoulder. One will commemorate the Stadium Series event itself and the other will pay homage to the City of Pittsburgh and its rich heritage as the "City of Champions." "I love the color. I think I like the bright yellow helmets the most. It's something different...something you don't see to often." 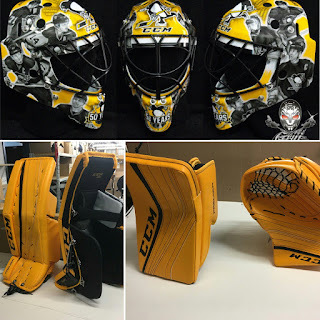 The Penguins (via Dana Heinze) also released the gear that the goalies will be wearing for the game as well. Matt Murray will be back in black from head to toe. 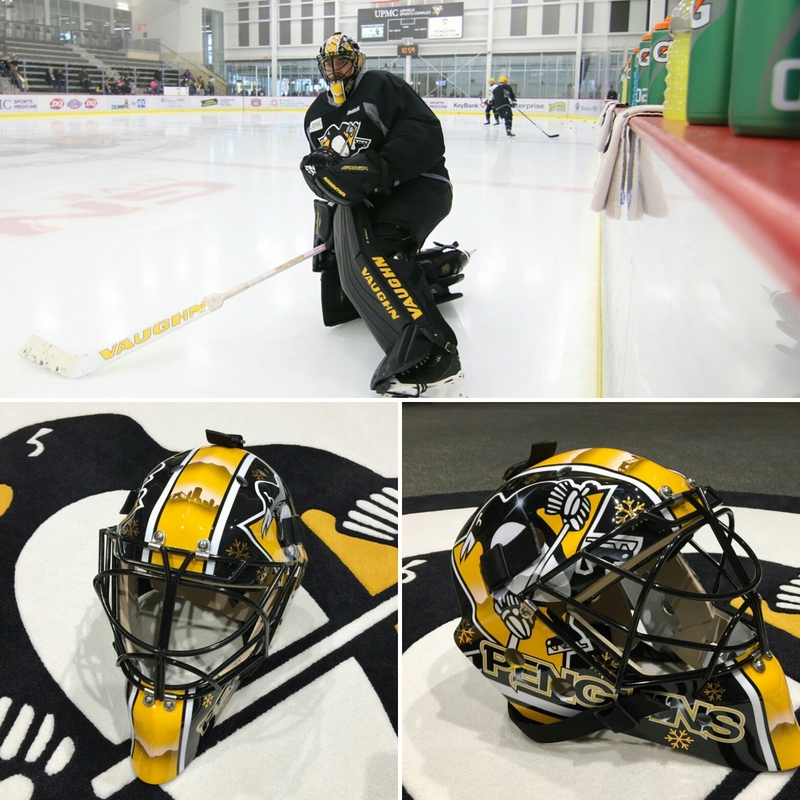 His mask is designed with angles of the Pittsburgh area skyline silhouetted on the yellow stripe. Mark Andre Fleury will be donned in the fan-favourite gold pads. His helmet, however, is very unique. It pays tribute to "...some of his favourite team mates with images and names." (per Heinze on his personal Twitter account). The Battle of PA has never had a bigger stage. The puck drops on the Saturday, February 25.